Since taking over as the Chief Justice on May 12, 2010, Kapadia has worked tirelessly to restore the diminishing dignity and credibility of the Supreme Court as the final forum for justice seekers. With a single stroke of the pen, he stopped reckless mining in Bellary. He disqualified the crucial appointment of Central Vigilance Commissioner (CVC) reminding the prime minister and his government that processes must stand the test of integrity. In the Vodafone case, Kapadia pointed out that laws are not open to unduly liberal interpretations. A corporate lawyer said that the Vodafone judgement reinforced to the world the independence of the country’s judiciary. In a few days a Constitution Bench headed by Kapadia will decide on the Presidential Reference made to it after the SC quashed 122 telecom licences and asked the government to conduct auctions to allocate natural resources. He is also expected to frame guidelines for the media on reporting on matters that are being heard in court. At the felicitation, Panchayet trustee Khojeste Mistree talked about his student days. Kapadia would walk down Narayan Dhabolkar Road in Mumbai, past the Rocky Hill flats, where a number of judges lived, and dream that one day he would progress from being an advocate to becoming a judge and have the honour of living in those very same salubrious surroundings, Parsi Khabar, an online community web site, reported Mistree as saying. Many years later, when Kapadia became a judge at the Bombay High Court, he always sat in court room number three on the ground floor, which perplexed many because as judges rose in seniority they also moved up the courthouse building. Kapadia revealed the reason why he was fond of the room when he was invited to tea at the Bar just before taking over as the Chief Justice of the Uttaranchal High Court in 2003. Early in his career as a low-grade employee, he used to end up at the Fountain area near the court for work. He didn’t have anywhere to go to spend his lunch break. For three years lunch often used to be a small cone of roasted chana (gram) and courtroom number three was the place to relax because it let in good breeze. A lawyer in Mumbai who was present says that Kapadia recalled how his interest in law was fuelled by the sessions in that courtroom. “Sarosh used to come very regularly to our offices. That is how I first met him. He had a keen interest in law and I encouraged him to take it up,’’ remembers Sulakhe, who is now legal consultant with the Godrej group. Kapadia studied law and enrolled at the bar. By that time he had a keen grasp of issues related to land and revenue and began taking up such cases. As a junior lawyer, he quickly gained a reputation for his preparation and ability to cite authority while arguing. Kapadia then joined Feroze Damania, a feisty labour lawyer reputed to be partial to poor and marginalised people. In 1982, Kapadia argued a case for people living in Ghatkopar, a suburb in Mumbai. The area was formerly salt pans and fell under the control of the Salt Commissioner. The commissioner had ordered summary eviction of about 3,000 tenements. Kapadia fought the case which resulted in a landmark judgement laying down the principle that governments cannot invoke summary eviction laws to throw out people when there is a genuine dispute on the title. “It was not about money. He was genuinely interested in the welfare of marginalised people,’’ a colleague who worked with him at Damania’s offices told Forbes India. He did not wish to be named. The colleague says, at the time Kapadia became interested in Buddhist and Hindu philosophies, especially in the teachings of Ramana Maharishi, Swami Vivekananda and Ramakrishna Paramahansa. Later he became a frequent visitor to Belur Math on the banks of the Hoogly in Kolkata. A monk at the Math says he learnt meditation techniques. He has read everything about Ramakrishna and also what Swami Vivekananda wrote. Kapadia’s worldview is highly influenced by Indian thinkers but is also tempered by the observed realities of the modern world. It has also shaped his thinking as a judge who believes in continuous learning. According to several lawyers, the registry had deteriorated into a corrupt office where ‘bench hunting’ was common. Bench hunting is gaming the allocation process to make sure that a certain matter appears before a certain judge who the lawyer thinks will rule in a particular way. Kapadia has put an end to it and is now said to review the day’s board of case listings and pull up the SC staff if he finds something amiss. The CJ has also stopped out-of-turn mentioning of cases to be taken up urgently, which has caused some consternation among lawyers. Earlier, lawyers could request the judge while the court was in session to take up an unlisted matter because it was urgent. Now they have to file an urgency petition a day in advance. The system exists because there is a mountain of pending cases in the judicial system. And since the SC is the final authority, it gets overburdened. “It will not be long before we have a 100 judges in the SC,’’ says a lawyer. The SC currently has 30 judges, excluding the CJI. The Indian justice system had drawn a lot of flak over the past few years after the integrity of several past and sitting judges was questioned. But Kapadia defended the system in his Law Day speech last November. 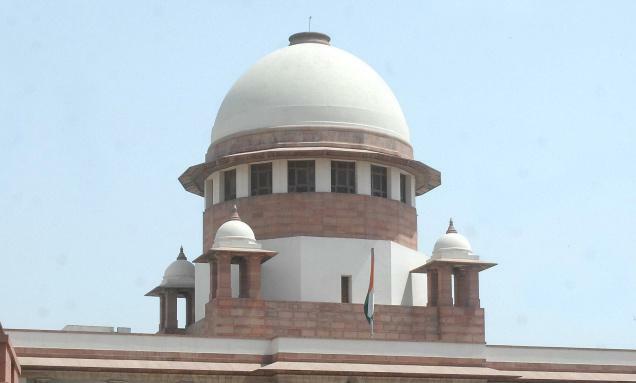 The allegations raised against the former Chief Justice K G Balakrishnan are serious in nature.After the decision in Veeraswamy’s case (1991(3) Supreme Court Cases 655), even for registration of criminal cases and initiation of prosecution against a retired judge of the Supreme Court or High Court, no previous sanction by the government is required. Likewise, a probe under the Commissions of Enquiry Act, 1952 also is quite possible. Such a course may help in making the matters known to the public. As it is often said, “sunlight is the best disinfectant”.Justice Balakrishnan has got a duty to respond. His silence may be taken as giving unpleasant messages to the people of the country. It would also pose challenges to the legitimacy of the institutions. “Human factors” in the institutions are inseparable from the institutional factors in a working democracy. To quote Prof B O Nwabueze, “however carefully the institutional forms may have been constructed, in the final analysis, much more will turn upon the actual behaviour of (these) individuals” . To say that the question of assets of the relatives is not a matter of concern for Justice Balakrishnan would be naive, if not irresponsible.Allegations of corruption are very often connected with acquisition of wealth not only by the person against whom allegations are made but also with his or her close relatives. The linkage between corruption and acquisition of wealth is often quite obvious. Generally speaking, money/wealth may not be the only means of corruption. However, in developing countries, it still remains as a prominent means. Why Justice Balakrishnan should quit? Continuation in a key post amidst the allegations would amount to a disservice to society at the expense of the state. However, according to Section 5(1) of the Protection of Human Rights Act 1993, the Chairperson of the NHRC could be removed from his office only by the order of the President on the ground of proved misbehaviour or incapacity.There has to be a reference to the Supreme Court by the President.Only after an inquiry by the Supreme Court and only on the basis of a finding regarding the proved misconduct as the chairperson of NHRC, he could be removed. Such misbehaviour should also be one associated with his conduct as chairperson of NHRC.According to Section 5(2) of the Act, the President can order the removal of chairperson of NHRC for the limited reasons like insolvency, paid employment, infirmity of mind or body, conviction in criminal cases etc. 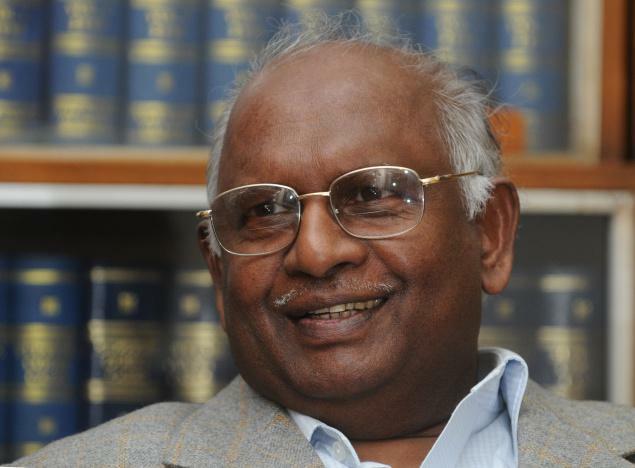 Therefore, it is clear that the removal of Justice Balakrishnan from the post of chairp e r s o n o f NHRC would be practically difficult, if not impossible.It is also doubtful whether the allegations with respect to his tenure as the C J I would be sufficient for his removal from the present post, going by a strict interpretation of Section 5 of the Protection of Human Rights Act 1993.The legal hurdles in removing Justice Balakrishnan should not, however, justify his continuation. On the other hand, the resignation of Justice Balakrishnan from the chairpersonship of NHRC becomes all the more a moral imperative due to these legal impediments. The Balakrishnan episode also puts forward a strong case for judicial reformation in the country.Unless and until we put an end to the system of judges appointing judges, no judicial reformation would be possible. 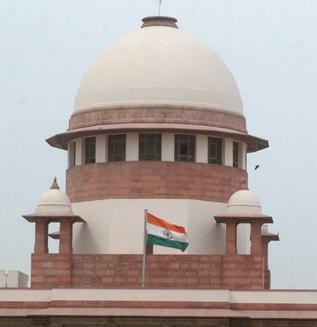 The method of selection of judges to the High Court and to the Supreme Court by the collegium should be abolished.A legislative activism towards a constitutional amendment in these lines is the need of the hour.The present system is the direct result of the judgment in the second and third judge’s case reported in 1991(3) SCC 655 and AIR 1994 SC 268 respectively. According to these judgments, the appointments of judges in the Supreme Court and High Court can be done only with the concurrence of the Chief Justice of India and the collegium headed by him.The word ‘consultation’ used in Articles 124 and 217 of the Constitution was virtually rewritten by the Supreme Court as ‘concurrence’ in the 2nd and 3rd judge’s case. Thus, without the concurrence of the CJ1 and the collegium headed by CJI, presently no judge can be appointed in the High Court or in the Supreme Court.It is apparent that consultation does not mean concurrence.Nor it can be so interpreted. In fact, the question as to whether the appointment of judges requires the concurrence of the Chief Justice was seriously debated in the Constituent Assembly.Dr Ambedkar responded to the said suggestion in the following words: “With regard to the question of the concurrence of the Chief Justice, it seems to me that those who advocate that proposition seem to rely implicitly both on the impartiality of the Chief Justice and the soundness of his judgment.I personally feel no doubt that the Chief Justice is a very eminent person. But after all, the Chief Justice is a man with all the failings, all the sentiments and all the prejudices which we as common people have; and I think, to allow the Chief Justice practically a veto upon the appointment of judges is really to transfer the authority to the Chief Justice which we are not prepared to vest in the President or the Government of the day. I, therefore, think that is also a danger proposition”. (Constituent Assembly debates quoted by T.R.Andhyarujina Judges and Judicial Accountability Universal, 2003 P.113). Ambedkar belongs to history.And history is the best test for his words. There is a clear negation of Ambedkar’s wisdom in the judgments in the 2nd and 3rd Judge’s cases which altered the constitutional scheme in the guise of interpreting it. In the words of T.R.Andhyarujina: “The new dispensation of appointment and transfer of judges laid down by the Supreme Court has not been well received in India.The Bar has been critical of it. A judiciary which has total control over its own composition would have a conformist or club like outlook. Judges tend to find virtues in others who display the same outlook. It is most unlikely that a Denning or Kirby, or a Bora Laskin or a Krishna Iyer would be appointed under this system. Justice Balakrishnan’s episode puts forward a strong case for introspection. It also calls for immediate steps for a constitutional amendment to ensure that the power to appoint judges does not vest with the judges themselves.As often demanded, there is a need for National Judicial Commission for selection of judges to the High Court and to the Supreme Court. Such commission should include not only the Judge(s) but also the representatives of the political executive (government), the Opposition Leader, the representatives of the Bar, academic circles or/and intelligentsia and also such other eminent persons.There has to be a participative and transparent selection process.Even a public debate is desirable.The present ailment is so serious that it requires treatment right from the process of selection . The hurdles to the reformative process created by the judgment in the Judge’s cases could be removed by an appropriate constitutional amendment. Interview with Chief Justice of India K.G. Balakrishnan. Are you satisfied with your overall performance? Do you feel much more could have been done? Nearly three and a half years as Chief Justice of India. It is a tough job in a big country like India: handling judicial work and administrative work, appointment of judges, legal education, and communication with the various High Courts. I hope I have done reasonably well in improving the infrastructure in the judiciary, though it is an ongoing thing. I can say that the number of judges in the High Courts has increased, judicial officers were appointed in many states. For the first time, government has come out with Rs.5,000 crore for the development of infrastructure in the judiciary; it is not a small amount. Basics for improvement have been laid down. It is a big institution and it will take time to get results. 1,800 judges got judicial training from the National Judicial Academy, legal education has been streamlined. Over all, I feel I have achieved something in my tenure. There is an allegation that you got a close relative appointed as Judge in the Kerala High Court. I never suggested the name of Mr. Ravikumar for judgeship. The [then] Advocate-General of Kerala suggested his name to the then Chief Justice H.L. Dattu. I never knew about this. I have served in the High Courts of Kerala, Gujarat and Madras. In fact, many of the Chief Justices have asked me to suggest some names. But I have never recommended any name — relatives or friends — for judgeship in any of these courts. I have so many bio data with me. I feel it is not proper. Even in the case of Mr. Ravikumar, when his name came to the collegium, I told Justice B.N. Agrawal and Justice Arijit Pasayat that they can do whatever they want. They can reject the name or defer the consideration. Why should I stop somebody else’s judgeship? Why should I say that he should not be considered? Is there any proposal from the Law Ministry for change in the Memorandum of Procedure of appointments to give more say to the executive in judges’ appointments? The collegium method was evolved from two Supreme Court judgments of 1993 and 1998. We only follow the procedure from these judgments. If the Centre wants to change the system, it must seek review of the judgments, whether on its own or through some other method. The collegium system is based on judicial decision, not on statute. How can it be changed? Many people criticise us, including those judges responsible for creating the system. We can’t change everything. We understand there are drawbacks to the system. The Chief Justice of the High Court is asked to select four or five persons from 6,000 lawyers for judgeship. On what basis can the selection be made? We understand there are practical problems. If you want a better candidate you need a better system. We welcome any change but we can’t violate the directions in the two judgments. I am leaving the government’s proposal to my successor to deal with it. Do you feel the need for creating four supreme courts of appeal in four regions and a constitutional court in the capital? We have to look for some changes in the system, as judges are overburdened. This year, the number of cases filed in the Supreme Court is expected to touch 84,000. Though the disposal rate is correspondingly high, it cannot continue for a long time. The present system can continue for another 10 years, and, thereafter, we must look for some change in the system. Jurisdiction can be curtailed; people should have a different forum that can be done region wise or subject wise. Honour killings are taking place in many parts of the country. Do you feel that a separate law is necessary to deal with such crimes? We have got sufficient number of laws. Even if there is a law, if things are done clandestinely, what can be done? What will you do if persons are ostracised by society. What is required is that society must change. Anyway, it is for Parliament to decide whether to come out with legislation or not. Has the controversy over Justice P.D. Dinakaran finally settled? It is an unfortunate thing. But I never interfered either in the [initial] inquiry or any other thing. The matter [removal proceedings] is now before a committee. I don’t want to say anything. Can the Justice Sirpurkar committee [investigating the grounds for impeachment of Justice Mr. Dinakaran] be expedited? Enquiry into allegations against Calcutta High Court Judge Soumitra Sen is also pending. These things can be decided expeditiously by the committees concerned. I don’t interfere in these things. During your tenure did you ever feel that corruption is a major issue in the judiciary. By and large, at least in the Supreme Court there is no corruption. At the High Court level, we receive some complaints without any details;but if we want to probe, they will not come forward. Regarding lower judiciary, in some of the states it is a problem. We can’t say corruption is not there at all; some may be susceptible. But these are only minor aberrations. In Kerala I can say it [lower judiciary] is corruption free. But I don’t think corruption is a major threat to the judiciary. You are being portrayed as anti-Right to Information Act. I am in favour of giving information. Certain information about Chief Justices discussed in the collegium cannot be given to the press. Then they will start discussing unfounded allegations against Chief Justices. It is not a desirable thing for our country. I said I had some reservations only on a very limited area. I only said that the office of the CJI is not a public authority under the Act. In all major countries of the world — England, Australia, America — the judiciary is absolutely exempted from RTI. During my visits abroad, people say the Indian judiciary is highly respected. They say: we see justice system is working in India, people come to courts in India in large numbers. The system is working so well; it is visible. As a Dalit who occupied the highest post in the judiciary, what do you have to say about suppression of Dalits. Some incidents still occur in many parts. This is a social problem. It is still there, may be due to lack of education … so many factors are there. In the last 60 years, some change has taken place. But still, of those below the poverty line, more than 30 per cent are Dalits. Awareness must be created. For this, school education should be improved. Is the Dinakaran imbroglio really a puzzling question? I do not think so. The Chief Justice of India, K.G. Balakrishnan, is right that the collegium is bound to follow the Supreme Court decisions on the point relating to the appointment of judges, till the law is changed. The real issue is: on that basis, is the solution for the problem not obvious? Once again my answer is in the affirmative. I have no doubt that the credibility of the appointment process and the image of the judiciary must not suffer further damage, shaking the public confidence which is the true strength of the judiciary. This factor impels me to write this piece. The blame for the current situation is attributed mainly to the Supreme Court decision in the 1993 Second Judge’s case (AIR 1994 SC 269), which gave primacy to the opinion of the judicial collegium in the matter of appointments. As the author of that opinion I must dispel that impression — indicating that the decision does carve out to the executive the area of non-appointment of a person on the ground of doubtful antecedents. The executive, therefore, is not helpless if in such a situation the judicial collegium’s recalcitrance to withdraw the recommendation continues. It is the duty of both organs to ensure that a known doubtful appointment is not made of a judge at any level, more so in the apex court. Let me say at the outset that I neither know Justice Dinakaran, nor do I comment on the merits of the allegations made against him. I speak only on the basis of the information in the public domain brought out by media reports of the uncontroverted facts, which to my mind are sufficient for his non-appointment to the Supreme Court on the above ground. 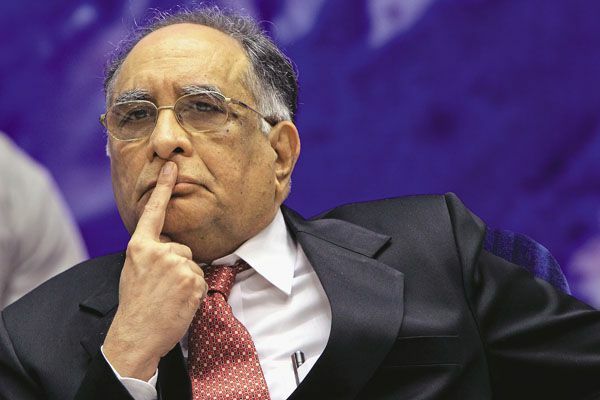 Thus, the settled law on the point is: a person of doubtful integrity or antecedents should not be appointed a judge of the Supreme Court; the area of non-appointment on this ground is clearly in the executive domain, notwithstanding the recommendation for appointment made by the CJI; it is safer and in public interest to not appoint a doubtful person, even if it turns out later to be a bona fide mistake. The executive is not powerless to thwart the appointment of such a person; the Supreme Court decision expressly empowers the executive in this behalf. In Justice Dinakaran’s case, the media reports, based also on the statements of the CJI, say that the report of the district collector sought on some allegations pertaining to land grabbing is adverse to the candidate and that the outcome of a further inquiry by another authority is awaited. If the available material is sufficient to create a reasonable doubt warranting further inquiry, the test for non-appointment laid down judicially is satisfied and it is difficult to appreciate the propriety of keeping alive the issue of his appointment to the Supreme Court. I for one, with experience of the office of CJI and as the author of the opinion that lays down the existing law, find the persistence with the recommendation embarrassing and contributing to an erosion of the image of the institution. I wish the imbroglio ends soon with withdrawal of the recommendation. The power of withdrawal is inherent and need not be specified. There are precedents of withdrawal of recommendations even to the Supreme Court on discovery of adverse material subsequently. I myself, as CJI, withdrew a recommendation for appointment of a judge as chief justice of a high court on further information regarding his antecedents. I wish this matter ceases to get curiouser every day. That is not good for the institution, which is bigger than any individual. It must be remembered that elevation to the Supreme Court and continuance in the high court are two different issues. Merely non-appointment to the Supreme Court does not automatically call for removal of the judge from the high court, which can be done only for “proved misbehaviour or incapacity” under Article 124(4). For non-appointment, a reasonable doubt, as indicated above, is sufficient; and for removal further inquiry ending with proof based on authentic materials of the allegations of misconduct or misbehaviour is necessary. In the case of Justice Dinakaran, his non-appointment on this material is at present the only issue. I write this piece with the hope that it helps to end the imbroglio soon, satisfactorily. The following is the full text of the Address by the Chief Justice of India, K.G. Balakrishnan on the eve of the National Law Day. November 26 is celebrated as National Law Day because it was on this day in 1949 that the Constituent Assembly of India adopted the Constitution, which then came into effect on January 26, 1950. I extend my warmest greetings to all of you on the eve of the 60th Law Day of our country. The legal and judicial fraternity of our country, as well as people at large, celebrate November 26 of each year as National Law Day because it was on this day in 1949 the Constituent Assembly of India had adopted our Constitution, which subsequently came into effect on January 26, 1950. Law Day is an occasion on which we pay our humble tribute to the unique vision and genius of the framers of our Constitution. It prompts us to reflect upon and renew our pledge to protect, preserve and extend the values enshrined in our Constitution. The very first goal of the Constitution, is to secure justice to all — social, economic and political. This mandate not only shapes the rights of the people but also serves as a command to all those who wield authority in the name of the State. As the head of the Indian judicial system, it is my duty to keep the nation informed about the state of affairs in this branch of government. An independent, accessible and efficient justice-delivery system is a pre-requisite for maintaining healthy democratic traditions and pursuing equitable development policies. In the last six decades Indian courts have played a leading role in protecting constitutional values and upholding the rule of law in our country. The vital social role of the courts has been strengthened by the creative reading of ideas such as ‘equal protection before the law’ and ‘personal liberty’. Especially with the evolution of the Public Interest Litigation (PIL) movement over the last three decades, the understanding of rights has expanded in many directions. From conferring guarantees of a civil-political nature, the fundamental rights have been interpreted to include positive socio-economic obligations on the State. This means that the courts of law are unique spaces where just solutions are devised, in spite of the socio-economic inequalities between the litigants. India is a diverse country where we are still grappling with social stratification and discrimination on the grounds of caste, religion, gender, language, race and ethnicity among other factors. Conflicts that arise out of such identity-based differences or those related to the distribution of material resources are often very complicated since they involve multiple interest groups. Adjudicating such disputes often calls for a departure from the norm of adversarial litigation and the judges have accordingly devised procedural innovations to respond to the needs of litigants. This means that the role of a judge is not only that of applying the existing rules in a mechanical manner but also interpreting them in a creative manner in order to pursue the ends of justice. I am deeply gratified by the trust and confidence that the people of this country repose in our judicial system. About 1.8 crore fresh cases had been filed in Indian courts in 2008, reflecting a steady increase in the rate of institution of fresh proceedings over the years. Against this, approximately 14,000 judges disposed of about 1.7 crore cases in 2008, demonstrating a disposal rate of about 1,200 cases per year by each judge. This was achieved notwithstanding the severe shortage of judges and their very heavy work load, abysmal infrastructure and a very challenging environment. In all, Indian courts processed some 4.8 crore cases in 2008 — which is one of the largest volume of cases faced by any national judicial system in the world. Expert studies have suggested that our judicial strength is only very minimal and large expansion is required to dispose of this case-load. It is therefore quite natural that most cases take several years to be completed. Such is the shortage of judicial officers that, on average, an Indian judge has a total of about 25 minutes to devote to each case. A significant consequence of the severe shortage of judges is that a substantial number of poor people are unable to obtain the protection of courts to preserve and strengthen their rights. This ‘docket exclusion’ does not bode well for the country as affected people may turn to alternative (including violent) means for securing their rights. On the contrary, there is an urgent need to promote ‘docket inclusion’. There is also a widespread perception that many people are being deterred from approaching the courts on account of apprehensions about undue delay in the delivery of justice. This may indeed be true in some parts of the country where the number of civil cases being instituted are very low in proportion to their respective population-levels. Therefore, any meaningful agenda for judicial reforms must account for the twin problems of high pendency levels as well as the limited access to justice for some sections of society. This means that even as we devise strategies to combat the existing backlog, we must also prepare for the further expansion of court dockets in the coming years. With gradual improvements in development indicators such as income-levels, access to education and healthcare, we should expect the previously marginalized sections to approach the judicial system in larger numbers, enhancing “docket inclusion”. In many cases, the undue delay in disposal is a consequence of hurdles placed in the procedural steps involved in litigation. In the course of a legal proceeding, there is a likelihood of delay at various stages from the service of notice upon the parties, the framing of issues, submission of pleadings, examination of witnesses, production of documents and the counsels’ arguments. If a party apprehends an adverse result, there is a tendency on part of litigants or practitioners to place obstacles in these proceedings. The logical response to this endemic problem is that judges need to be more proactive in managing the flow of proceedings before them. Attempts to delay the proceedings should be treated firmly but it must also be kept in mind that the desire to improve procedural efficiency should not compromise the quality of justice being delivered. As inheritors of the common-law tradition, we are bound to follow the principles of natural justice, namely that ‘no man shall be a judge in his own cause’, that ‘no persons shall be condemned unheard’ and that ‘every order will be a reasoned order’. Even though the judges are the main actors in the justice-delivery system, their efficiency is closely related to the behaviour of advocates, litigants, investigating agencies and witnesses among others. While public scrutiny is rightly being directed towards the performance and accountability of judges, there is also a need to examine the responsibilities of all the other participants in the judicial system. In particular, there is an urgent need to tackle the institution of frivolous claims and the giving of false evidence. Judges can perform their fact-finding and adjudicatory roles in a satisfactory manner only if they receive the co-operation of all the stakeholders. In this sense, the judicial function is as much a collective enterprise as the other wings of government. A meaningful shift will only occur if attitudes change among the bar. Ultimately it is the responsibility of legal practitioners to advice their clients on the suitability of resorting to litigation. For resolving many categories of disputes, adversarial courtroom litigation is not appropriate since disputes can be amicably resolved at the pre-trial stage. With the objective of promoting awareness about these methods, full-time Mediation Centres have been established in the various High Courts as well as some of the District Courts. Their function is to not only provide mediation services but also to impart training about the same. I must also emphasize that a large portion of the increase in litigation rates can be attributed to stronger remedies that have been introduced through Central and State legislations over the years. In particular, our trial courts are confronted with a disproportionate number of cases involving the dishonour of cheques, motor accident compensation claims, domestic violence and corruption-related cases. This is of course a natural consequence of the fact that litigant-friendly procedures and remedies were incorporated to address such grievances. Hence, there has been an incentive for parties to come forward and file cases in these categories. However, there has not been a commensurate increase in the strength of judges needed to decide these cases. In recognition of this fact, the strength of the Supreme Court and the various High Courts has been gradually increased. However, it is the strength of the subordinate courts which calls for a drastic increase. I have repeatedly called for targeted interventions by way of increasing the strength of the subordinate judiciary, while emphasizing the need for establishing more Family Courts, CBI Courts and specialised magistrates’ courts. In recent months, a lot of attention has been drawn to the proposal for establishing ‘Gram Nyayalayas’. Under the Gram Nyayalayas Act, 2008 judicial officers of the rank of Civil Judge (Junior Division) will be appointed to function at the block-level. The intent of course is to bring the justice-delivery system closer to rural citizens who have to otherwise travel to distant district centres. It is estimated that nearly 5,000 judicial officers will be needed to occupy these positions. Since 2007, some important steps have been taken to improve the quality of justice-delivery. Hundreds of judicial conferences have been organized through the National and State Judicial Academies as well as National and State Legal Services Authorities on the topic of delay and arrears reduction as well as enhancing timely justice to raise awareness about the problem and develop effective strategies. There has been substantially increased attention to the use of Alternate Dispute Resolution (ADR) techniques, in particular mediation and Lok Adalats. A system of planning and management is being developed and recommended to High Courts for their consideration. A National Judicial Infrastructure Plan, A National Judicial Education Strategy and a National Mediation Plan have been developed and are in different stages of implementation. The results of these massive initiatives have been encouraging. Reversing earlier trends, filing of new cases as well as disposal has gone up at the national level. However, aggregate pendency has increased because the increase in filing has been faster than the rate of disposals in general. I must also comment on the importance of Legal Aid programmes, especially those which seek to impart legal literacy in remote and backward areas. We must acknowledge that access to legal education is still confined to a privileged few and that the existing pool of judges and lawyers is not adequate to bring about the changes that we desire. In recognition of this fact, a Committee headed by a sitting Supreme Court judge has been recently appointed to oversee the training of motivated young individuals as paralegals, who can then expand the reach of the legal aid programmes. We are also in the process of designing a project dedicated to the improvement of access to justice in the North-Eastern region of our country. It is our hope that improved awareness and access to legal remedies will help in mitigating the socio-political conflicts in troubled areas. Efforts are also being made to incorporate Information Technology (IT) based solutions in order to strengthen the judicial system. Under the E-Courts project, most judicial officers in the country have been provided with computers, printers and access to legal databases. Steps are also being taken to digitize precedents as well as the permanent records of courts at all levels. At present the daily cause-lists, orders and judgments of the Supreme Court and the respective High Courts are freely available online through the Judgment Information System (JUDIS). In the coming years, the objective is to ensure that materials pertaining to all subordinate courts as well as tribunals will also be made freely available through this system. Another important element of judicial reforms is that of organising educational programmes, which are held at the National Judicial Academy (Bhopal) and the various State Judicial Academies. These programmes are periodically held for the benefit of sitting judges from all levels. They are designed to raise awareness about the latest legal developments as well as the strengthening of skills for court-management, research and writing. Special efforts are made to sensitise judges to the complex interactions between law and social realities. These programmes also serve as a common forum for judges serving in different parts of the country to interact and learn from each others’ experiences. Recently, the Union Minister for Law and Justice has also unveiled some proposals for systemic reforms. There are plans to establish a ‘National Arrears Grid’ which will compile reliable statistics on the institution, disposal and pendency of cases at all levels. The top law officers of the Central Government have also resolved to reduce the extent of litigation which involves governmental agencies. A ‘National Litigation Policy’ is being designed wherein administrative remedies will be strengthened in order to reduce the burden before the courts. A comprehensive legislation dealing with the subject of standards and accountability in the higher judiciary is also on the anvil. To conclude, I would like to extend my heartfelt gratitude to all my colleagues who are serving at the various levels of the judicial system. I hope that they will all strive to uphold the high standards of dignity and integrity that are expected from anyone who holds a judicial office. I must also place on record my gratitude to the administrative staff members who have been working hard to keep pace with the increasing case-load. Like any public institution, the quality of justice-delivery also depends on the trust and confidence of the larger public. We rely on an active bar, a free press and a vigilant citizenry to point out our unintended mistakes so that we can improve our functioning. I sincerely hope that the dialogue between the judiciary and the various stakeholders in our society continues to take place in a cordial and constructive manner.